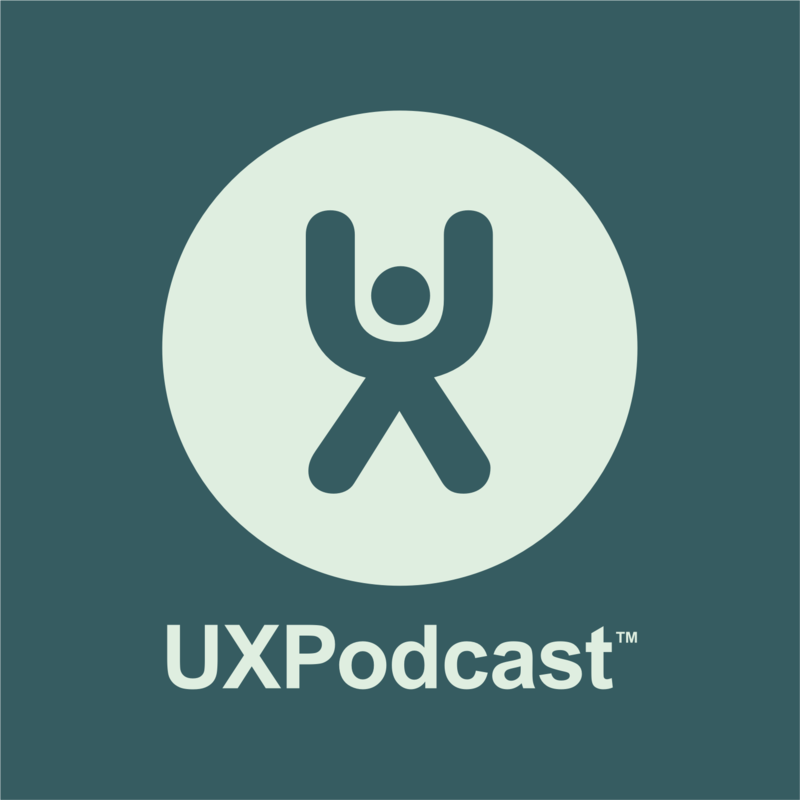 A transcript of Episode 179 of UX Podcast. James and Per talk to Jared Spool about Net Promoter Score (NPS), usability testing, and communicating the value of what we, as UX professionals, do. Per Axbom: And Per Axbom. James Royal-Lawson: We’re here in Stockholm, Sweden and you’re out there, in a hundred and seventy-three countries from Norway to Liechtenstein. Per Axbom: You may know today’s guest, Jared Spool, from User Interface Engineering, the SpoolCast podcast, the Center Centre UX science school for adults and from his rants on Twitter. James Royal-Lawson: …on Twitter. Today, we talked to Jared about design leaders existing in a business environment, how poor we are at communicating our worth to organizations, the myth of five to eight usability participants and the topic that we asked Jared to talk about, NPS, Net Promoter Scores. Per Axbom: I don’t know the background to why you started talking about NPS on Twitter but I — it really fast got into a big thing. Jared Spool: I was seeing folks use it for wacky things and it was getting wackier and wackier. There’s a company that promotes that they send the would-you-recommend question to each of their employees on a fairly frequent basis as if reco — would you recommend our company to you? James Royal-Lawson: So, this is — this is internal. Jared Spool: Inside. Internal employees. People seem to just keep wanting to use it and that immediately brought out the two factions. One was a group of people who are of like mind who believe that NPS is not a good measure and a whole bunch of people who make their money off of helping companies implement their NPS scores and improve on them and they got very upset that I was sticking my fingers in their rice bowl. James Royal-Lawson: I mean, I suppose you could — you’ve got to — you understand of course that there is the need for a number that you track of a time to gauge whether or not you’re improving? Jared Spool: Need? I’m not sure there’s a need. There is a desire. James Royal-Lawson: Oh, desire. Okay. Jared Spool: NPS is basically the business equivalent of astrology and I don’t think we have a need for astrology but we definitely have a desire for it. We would love to have something. We would love to have something that would tell us what our future holds, right? What we could look at. It would be fantastic if astrology would help us figure out who our next mate would be. That we would be able to roll — open the book, look up our horoscope and it would say, “Yes, the person you will meet today is the one you should marry.” And that would be fantastic and I’m sure that lots of people would really like to have this, but that’s what NPS is. It basically is opening up a book and looking up your horoscope and having it tell you your business is doing great today and you just walk around smiling and it has nothing to do with reality. Per Axbom: And then, you — then, you did a blog post, on medium — a breakdown of all the reasons why NPS really isn’t telling you anything that you can act on. So, you actually — that was more than having an opinion. That was actually breaking it down. So, how was the reaction to that as well? James Royal-Lawson: So, I have less problem with these figures, magical figures being used to kind of gauge direction. What I have a big problem with, though, is when this thing like NPS used for research as a — as a substitute for maybe better forms of research. So, I think — I think the article medium is highlighting that because when you break it down, it’s hiding so many things and messing up so many things and the places in which you get presented with NPS questions can really mess up the context of which the question is being interpreted by the other side. Jared Spool: Yes, I think you’re absolutely correct. I think that — I mean, I’d argue that it’s not very good at showing you where you are either. I mean, it’s complete fiction. It is — it is like a horoscope. You open your horoscope and it says today is going to be a bad day and you spend all day really worrying about it. Where that come from? What was the — what was the basis of that other than an author thought, “Hey, today is going to be the bad day, I’ll write it down.” If it’s not good for research, what is it actually good for? Because if it doesn’t tell you anything about your users and what your users are trying to do, what does it tell you about? It doesn’t actually tell you about anything. That’s the basic problem of it. It is a — it is this thing that seems like a good idea and when you read through — the thing is that people read through their astrology charts and they go, “Oh, my gosh, this is so my life. It knows my life.” And that’s what people are doing with NPS. They’re looking at this and they’re mapping these random changes of numbers into things that happen in the real world and they say, “Look, it predicted that thing that happened yesterday.” It doesn’t matter what happened yesterday, because it absolutely predicted it. Per Axbom: So, you say desire. We have a desire. What do we do about the desire to actually understand what we’re trying to understand with NPS but aren’t? Jared Spool: I don’t know. I think the opposite of trying to figure out who you’re going to marry from astrology is to actually pay attention to the people you talk to and see if any of them are the ones you want to actually talk to, spend with your life with. I mean, I — this notion that we have to replace it with something if we take it away, I don’t see anybody saying, “Well, if you take away my astrology charts, you got to replace it with something else, otherwise, I will never find my mate.” I don’t understand where that rule comes from. It’s like — it’s like you’re taking this thing away. What thing? The thing doesn’t exist. What you think you have is not what you have. So, what am I taking away? I’m just pointing out that it actually doesn’t work the way you think it works and that, frankly, nothing will because you cannot summarize all of user experience or all of customer engagement or all of brand loyalty or whatever it is you think NPS measures. You cannot summarize it in a single two-digit number that goes from minus a hundred to plus a hundred. It doesn’t — it doesn’t happen. Per Axbom: I think — I think you did and correct me if I’m wrong. You actually did say it in a fun way. A good way to implement NPS you’ve seen is when they have the NPS and then, they have a form asking about the experience where people could share the experience and if you have that and then, you take away the NPS and just to have the form left, then, you have a good NPS example. Jared Spool: …because it turns out asking the score question changes people’s answers. But what we — what dawned on us a couple of years ago actually but I never took it away. It dawned on us that if you’ve bothered to go to our questionnaire and you’ve bothered to answer the questions we have, we don’t have a lot of questions, but there’s a fair few. If you’ve made it all the way through that, you are not going to be a distractor. You’re someone who likes the show and listens to it. People who don’t like the show, they don’t bother filling in the questionnaire. They stop listening and we have to find them a different way. So, I promise that we’re going to take it away. Per Axbom: Yes. Next time. James Royal-Lawson: This March when we’re launching, it will be gone. Jared Spool: Right and that’s really the problem. It is self-selecting and I mean, that’s just one of the big problems I guess. It’s self-selecting and highly biased, right? If you are United Airlines, your NPS score is going to be filled with all sorts of hate, even on days when they’re decent days, even after experiences that are reasonable experiences, because people love to tell United how much they hate them. And so, what can United get out of their NPS score? Not really much and frankly, if United doesn’t know what they need to know to fix their NPS score, there’s no way that survey is going to help them. There is no lack of input to United Airlines on what is wrong with their — with their products and services and what they could do to help. I mean, frankly, they just have to talk to their frontline employees who are completely aware of what’s going on. People tell me — the people who are very pro-NPS tell me, “Well, you know, for the first time, we’re getting our executives to think about our customers because they get this number that represents what our customers think.” Except for the fact that A, it doesn’t actually represent what the customers think; and B, they’re using it as an excuse to not go any further and actually understand what the customers think. Per Axbom: Oh yeah, that’s so true. I’ve heard that so many times that we know our customers are satisfied so just come in and help us whereas, I want to start with the research, they tell me that they’ve already done the research and they show me these scores which really, really bothers me. So, that’s an excellent example what it’s being used for. It’s used for not doing the right thing. Jared Spool: Yes. I mean, that’s really problematic and then, take it further, you’ve got companies that are setting up bonuses based on improving the score. Since I wrote that article, I’ve had dozens of people reach out to me and say, “Yes, my company has OKRs that say that we have to get our score up by 5%,” or, “my executive gets a bonus if we get our score to 60 this year.” All of that is completely gameable. Trivially gameable. So, with no policing at all. So, all those people are going to get their bonuses unless they are just clueless about how to manipulate it. That doesn’t say that the score actually improves the quality of the product. It just says that the executives are smart enough to game the system. James Royal-Lawson: So, this is — this is the true essence of the — of the — of the problem that we’ve got in many countries, hierarchical management systems that are — that are number obsessed and those numbers are all that it’s about and there is no incentive and no interest in anything genuine. Jared Spool: Yes, because genuine is messy and hard. You can’t reduce it down to a single target and just point the troops at it and say march towards the target. James Royal-Lawson: You’re going to set him off, so, be careful. Per Axbom: …is you only need five users in your usability test and there’s things like this that live on and have lived on for 20 plus years now and they’re still spoken of as truisms and it’s really bothersome because it really — because like you say, doing the real work is messy and people aren’t prepared to get into that as long as they can find these little tidbits and shortcuts like NPS and like yes, test with five users and then, I’m okay. Why do we keep doing this? Fooling ourselves. Jared Spool: Again, I think it goes back to that desire. That desire — our lives are complicated enough right now and we want this sort of feeling of success and if we stick with these maxims, these superstitions — they’re really just superstitions. It’s like throwing salt over your shoulder to keep bad spirits away. We have no evidence that bad spirits exist but why risk it? And that feels like the answer you get. The other day, I saw in a lecture that was given at Harvard. The — you only need — you can find 80% of the problems if you — if you test with 8 users or less or fewer, sorry. Got to throw the salt over our shoulders to keep the bad spirits away. That was never a true statement. It was closest back in 1992 when Jim Louis and Bob Versey first did it, but that was based on 1992 systems. We were looking at applications that might have — if you had 10,000 users, you are one of the biggest applications in the world. You are one of the top 10 applications that had ever been sold. And now, we have websites that tell us that they have billions of active users every day and you’re going to tell me that eight people are going to find 80% of the problems? James Royal-Lawson: Well, it’s a really, really big problems. Jared Spool: Right? So, if we just scale from 10,000 users to a billion which is a — six orders of magnitude, then, our eight users should now be six orders of magnitude bigger. We’re now looking — I don’t know what’s eight to the six. Jared Spool: You could — you could get me to buy into the idea you need a minimum of 262,000 users to get to 80% of the problems. I might buy into that. Jared Spool: Certainly, if you had 262,000 users in your study, I think you would find a lot of really useful insights. So, we can just go there. James Royal-Lawson: …to something? Or do they — are they better? James Royal-Lawson: They’ve got to go from zero to 260,000. Per Axbom: I love that you ask this because I knew Jared would say no. Jared Spool: No, because you’re giving them permission to stop at eight. James Royal-Lawson: I’m giving them permission to start with five or eight. I’m not saying stop with that. Jared Spool: Sure. They — but because you say you have permission to start with five or eight, it’s like saying, “You’re not eating any fruit, that’s not good for you. So, why don’t you eat fruit on Tuesday and then, you never have to eat it again?” Of course, people say, “Okay, if I only have to eat it on Tuesday, I’ll be fine. That doesn’t require any big change. I’ll go eat it on Tuesday and then, on Thursday, when I’m suffering from whatever the same issue is that was — because I wasn’t eating fruit, y’know, I ate the fruit and it’s didn’t help. So, obviously, it doesn’t work. James Royal-Lawson: Well, they say that one of the bigger — one of bloggers, the reason why this 50% aren’t doing any usability testing, they say that cost and complexity but cost was the — was the main reason of why they weren’t doing it. So, if you come to them and go, “Well, look, with your size user base, you’ve got to do 260,000 participants in usability testing to be — to cross the line.” That’s not going to help their blockers and the reason why they’re not doing at all. Jared Spool: Okay. I mean, I don’t care. I mean, if they want to find the reason to not do it, they will continue to find reasons to not do it. You can’t convince them to do usability testing based on this idea that you’ll find it painful, but we just only have to do a little. Jared Spool: Either they see the value or they don’t see the value. Jared Spool: And so, we’re selling the wrong thing and that’s part of the problem with this. By sticking with these rules, we don’t learn to actually sell the true value of what we do. We basically say, “You don’t see the value, but we’re not going to cost you very much, so, why not just do it anyways?” And that’s what’s harming us. That’s the — that’s the real danger of these things is this mentality that we don’t have to learn how to actually sell the true inherent value, because the value of usability testing is not based on the number of users. The value of usability testing is not based on the size of the report. The value of usability testing and user research as a whole is based on how it improves the engagement of the customers in the long run. But our community can’t talk to that. We don’t know how to talk to that and because we don’t know how to talk to that, we fall back on these — well, if you just throw the salt over your shoulder, you will keep the bad spirits away. It’s the same superstition and we are just as guilty of it as everybody else. James Royal-Lawson: So, how do we — how do we communicate around this better. If we’re — if we’re — if we’re all kind of throwing salt over our shoulders so much and we’re doing such a bad job of proving our worth? What do we need to do? Jared Spool: We need to focus on what the business needs, what the organization needs. We keep trying to find these rules that are applicable everywhere in every situation. It’s like saying I’m going to give you one pill that will solve every health problem you ever have. That’s what we keep looking for is the magic pill. And the thing is being that everybody’s different and everybody needs different medical care and some people need a lot and some people need a little. And some people need medical care because they have one type of metabolism and they need completely different medical care because they have a different type of metabolism. Some people have genetic issues, other people don’t. There is no unified medical solution that will just solve every problem and there is no unified research process that will solve every organizational problem. And it can’t be reduced to maxims and truisms and we keep looking for that. And I understand why we desire it. It’s because we don’t have the ability to actually focus on the business side of things, because we don’t — we — people go into user research, because they don’t want to go into the business side. They want to focus on the users, on the customers. Jared Spool: They don’t want to focus on the business. But this business is symbiotic with the customer. If the business does not produce product or services, the customer gets nothing. If the business does not produce systems for the employees to work on, the employees don’t have — can’t do their job. There’s a symbiosis. We have to understand how the whole ecosystem works. We have to understand that in business, the only reason you can stay in business is if you make a profit. So, now, you have to — now you have to focus on where does profit come from. You have to understand how the things you do and the designs you do and the research you do helps you establish some type of profit. Per Axbom: Which — so, we’re saying really that — is that we have to be management consultants as well. We have to be business consultants. In my case is if I’m a UX freelancer or self-employed, I have to — I have to figure out the business before I even do the research. Jared Spool: Right. How many workshops and conferences go into the basics of business? Jared Spool: Where are — where are the books from the UX publishers that map into the business? What are the conversations where we talk about how research into customers is positioned to show that the business has opportunities that some could be easy and some could be really hard? We start to get into that when we get into things like service design, but we quickly then go back to post-its and wall charts and service blueprints and customer journey maps and we stop talking about well, okay, we could do all these things but how much will they cost and how much new revenue will the business see because of it? How much will the — will the customer base grow and as a result, how much will we be able to sustain the business over the long term particularly when market demand shifts or when a competitor comes on the scene, so that, we can rethink and we can redo what we’re doing? And I started talking to them, I said, “You guys know what you want. Why are you coming to me?” “Well, turns out that we do a lot of stuff but the — our clients — our business partners are not listening to us. They’re not — they’re not taking our recommendations.” I said, “Okay, if I were to come in and do what you ask and we did a fantastic job and you got everything you needed, and then, let’s say, a year after that, you produce amazing work and the business appreciates it, what would be different?” And they said, “Well, the organization — whenever people in our — on the business side need to make decisions, they would understand why UX is important and they would come and consult with us before they make the decision.” And I’m like, “Okay, I’m going to do that thing that consultants — that designers do when they — when someone comes in and says here’s the solution I want and you start asking questions and you find out what the real problem is, I’m going to tell you that the solution you want isn’t going to get you what you want, that you actually have to solve the problem a different way. Because A, you don’t want everybody coming to you for every little decision, because that makes you a bottleneck and you damn well better be right on every decision or they’re just going to never listen to you again. And the other thing is is that the reason they’re not coming to you today isn’t because your methods aren’t good. The reason they’re not coming to you today is because you don’t have good design literacy in the organization. What are you doing to improve design literacy?” And that changed the whole conversation for them. And they don’t need advance skills. They need everybody to have basic skills. Jared Spool: That’s a completely different approach. James Royal-Lawson: And I think — I think this is — we put all this focus and effort into users — but really, they’re just one actor in a bigger story and all of these internal characters and stakeholders, we don’t do enough research and enough understanding about what drives them and how they respond to what their needs are. So, we shipwreck ourselves designing for the end-user, because all those little islands and rocks on the way we know nothing about. They’re not charted. Jared Spool: They actually are charted. We’re just doing our best to not pay attention to the charts. Per Axbom: I think that’s an excellent note to end on. We need to take responsibility for our own actions. Jared Spool: There you go. James Royal-Lawson: The wise words to finish on. Jared Spool: Put that on your to — put that on your to-do list. Put that on your to-do list for today. Per Axbom: I love — I love the way that this — the turn that this discussion took actually. Thank you for that, Jared. And we’ll actually be talking to you again quite soon and we’ll be welcoming you — welcoming you to Stockholm. I think you’re talking at From Business to Buttons in May. Jared Spool: I am. I’m talking about business maturity I think. Per Axbom: Right. We’ll get to chat face-to-face. James Royal-Lawson: Yes. So, you’ve got to — you’ve got to save something to speak to us about then. Jared Spool: Okay. Well, I’m sure something will piss me off between now and then. Jared Spool: I’m sure it will. James Royal-Lawson: I don’t doubt for a second, Jared. Per Axbom: Thank you so much for doing this with us and see you soon. Jared Spool: Thank you for being as awesome as you always are. Keep doing the good work. James Royal-Lawson: …what we throw into them. Per Axbom: What Jared — what Jared called desire, right? Per Axbom: Because he said desire. Yes. Per Axbom: You’re saying understand the problem, understand the underlying problem and then, we can talk about it. James Royal-Lawson: Yes. And because, really, NPS is not right. It’s not working, but I don’t think kind of pushing it aside and saying we don’t need it, we should have — we should just do this instead. That doesn’t really help us understand the real issues at play. James Royal-Lawson: …if you do have hypotheses, then, your testing gives you results either way. So, you don’t go back to the client with nothing, because it didn’t show usability issues, because you will have hypothesis that you validated if nothing comes back. Per Axbom: And the other thing with the business thing that we really need to start getting our act together with the whole thing of what Jared was saying, we need to understand the business because if we don’t, we’re just doing art, really. I’m going to go on and say that, because our job is not to make things have higher conversions. We don’t make interfaces more easier — more easier to use and the value we bring is innovation and sustainability and impact like the bigger themes of what a business is. James Royal-Lawson: And that’s what we need to communicate better. We need to communicate better on — in all aspects of the work we do not just to kind of the — to the programmers we work in our teams with all your product leader, you — product manager or whatever, you need — we need to communicate more successfully to the business parts of organization decision — organizations too, all the leadership parts of organizations if you’re in a public-sector organization. James Royal-Lawson: And we’re not — we’re not trained for that, really as a — as an industry. Per Axbom: No, exactly, that’s what the point was that Jared was saying also at conferences — when we go to conferences, where are the business workshops? Where do we learn about finance? Where do we learn how businesses work? So that we can use that competence and knowledge in our design work. James Royal-Lawson: We not only need to sell what we do to business. We need to sell just this particular concept to our own industry to make them interested in knowing more about it. Per Axbom: And that’s a great follow-up question to Jared in May. Thank you for your joining us today. Links and notes from this episode can be found on uxpodcast.com. Please add us to your podcasting client of choice if you haven’t already done so. James Royal-Lawson: And if you have some good comment, suggestions, answers to points that we’ve raised today, then, please go ahead and email us at hey@uxpodcast.com. That’s with a y or a j. Per Axbom: Remember to keep moving. James Royal-Lawson: See you on the other side. James Royal-Lawson: Britney Spears who? Per Axbom: Britney Spears. Oops! I did it again. This is a transcript of a conversation between James Royal-Lawson, Per Axbom and Jared Spool recorded in February 2018 and published as Episode 179 of UX Podcast.